Green and blue are both primary colours of light, and while that has always mattered to painters, their importance has gradually taken on a more pressing – even life-changing – hue, symbolising the planet’s ability to sustain itself and its inhabitants who have finally woken up to the damage caused by waste and ‘wasteful’ economic models. That’s changing, says Pierfrancesco Morganti, but this positive momentum still needs a good stoking. Every year, around 6.3 billion tonnes of plastic and 1.6 billion tonnes of food go to waste. A third of food produced for human consumption never reaches the family table. It takes 3 tonnes of fish to produce 1 tonne for eating. EU food waste alone produces 170 million tonnes of CO2 emissions. Some 91% of the world’s population lives in places where air pollution exceeds healthy limits – 7 million people die prematurely every year from it. And all this despite far-reaching European and global sustainable development programmes to save resources, protect oceans, reduce waste, and generally promote ‘green’ and ‘blue’ circular bioeconomy thinking. Nothing short of a consumer revolution is needed, says Pierfrancesco Morganti of Campania University, Naples who is an expert in sustainable applications for waste and led a major EU blue bioeconomy research project, called n-Chitopack, which reuses shrimp casings to produce chitin, one of the key ingredients in new biodegradable polymers (see below). In his vision, a precursor to this revolution will be major changes in the way people consume, travel and everyday living in order to reduce the heavy burden of plastic and food pollution on nature, wildlife and our own health. Green and blue industrial processes are vital in breaking the linear ‘take, make, waste’ chain in favour of circular economy principles, reusing and recycling all materials in the product life cycle. That means more than cutting back on waste, explains Dr Morganti, it means eco-designing products to prevent waste altogether. And with that, eliminate avoidable greenhouse gas emissions and their disastrous consequences on the climate, radically reduce marine litter (especially non-biodegradable plastic), and stop food waste, the depletion of non-renewable resources, and over-reliance on fossil fuels. It’s a lot to ask but by no means a pipe dream, he believes, because even the largest (and growing) consumer markets like China are starting to get on-board – 88% of Chinese consumers are now interested in food and cosmetics that can claim to be more sustainable and planet-friendly, compared with 55% in the US and 52% in the EU. He firmly believes that with bio-nano-technology at the heart of the green- and blue economy, it will be possible to use waste materials to produce not only energy but also vital goods to reduce carbon emissions, maintaining a balance of natural raw materials for future generations to benefit from and to maintain the planet’s biodiversity. Asked by BBF News what he would like to see from the Blue Bioeconomy Forum and the European Commission in terms of supporting and stimulating the blue bioeconomy, he believes the turnkey, as ever, is funding. More resources are needed for complex research involving specialists in academia and industry with the right skills to develop new technologies for producing chitin also from non-marine sources, such as insects and plant protein, and for developing other uses for this wonder material, including as food supplements. 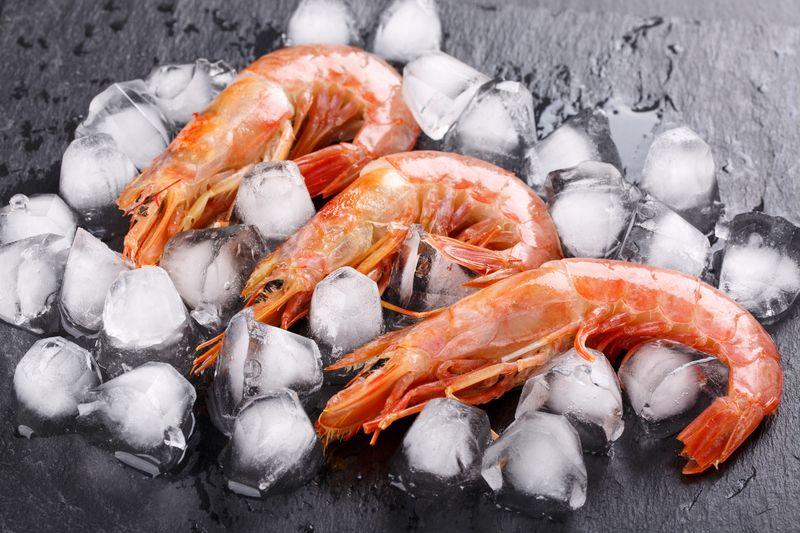 The two-year EU-funded n-Chitopack, led by Mavi Cosmetics in Italy, used chitin and chitosan extracted from shrimp shells together with other natural ingredients to develop biodegradable materials (pliable thin films) that can improve and conserve packaged food products. Chitin nano-fibrils and chitosan nano-biolignin are non-toxic naturally-biodegradable polymers that, thanks to demonstrated antimicrobial and UV adsorption characteristics, can also prevent food spoilage. Follow-up work on the use of natural biodegradable polymers for clothing (Every year, around half a million tonnes of clothing waste ends up as marine pollution!) and non-woven tissues, using a process called ‘electro-spinning’, has also shown promise in both advanced medicines and cosmetics (e.g. face masks).The EU Polybioskin project is investigating these natural non-woven tissues further. Meanwhile, partners from n-Chitopack have explored the commercial potential of this all-natural packaging and preservation solution, including industry testing in the food sector, an important market for single-use (biodegradable) plastic. n-Chitopack compared favourably in terms of tensile strength and proved to be three-times more elastic than typical wrappings used by fast food chains like KFC. At the time of completion, the project predicted it would take several more years to further test the manufacturing of the patented nano-fibril technology and packaging solution at scale, ahead of any commercial launch. Sourcing the chitin (from shrimp waste) is currently a major challenge, and for the full win-win benefit to the environment, reliable European supplies would be preferable to importing this so-called ‘waste’ from, say, China or India. Pierfrancesco Morganti: Founder, CEO and Scientific Director of MAVI, editor-in-chief of the Journal of Applied Cosmetology, Professor of Applied Cosmetic Dermatology at Campania University and visiting Professor at the China Medical University Shenyang. Author of four books and over 450 articles.